What kind of tree is that? Why does it grow here? What other organisms depends on it? Preserving biodiversity, whether in a remote tropical jungle or right in your back yard, is a major world issue. 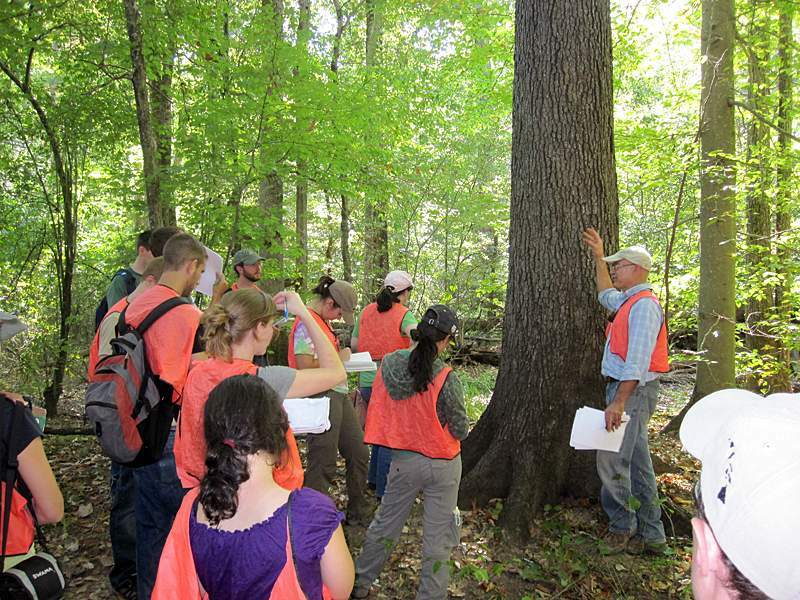 Through class discussion and local field trips, this course introduced students to the history and ecology of the Duke Forest, and the importance of forests to our quality of life. 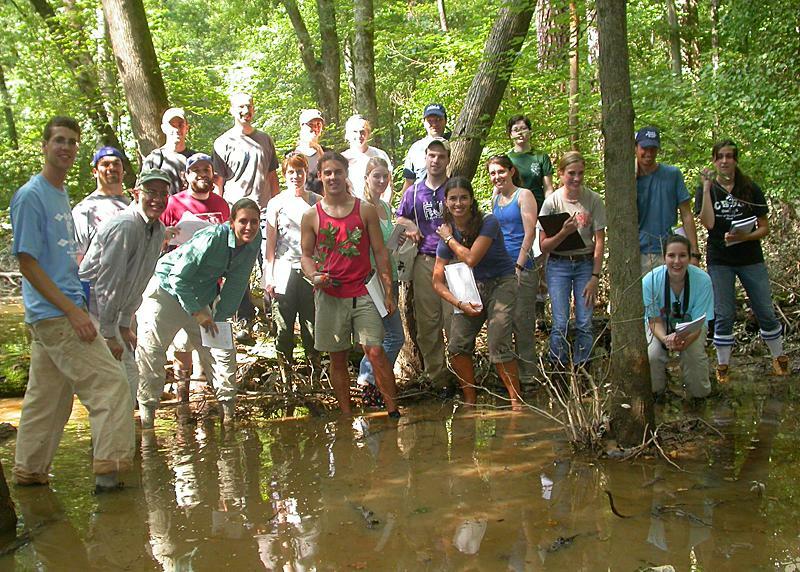 Topics included community ecology and natural history, organism and habitat identification, and history and management of Duke Forest. 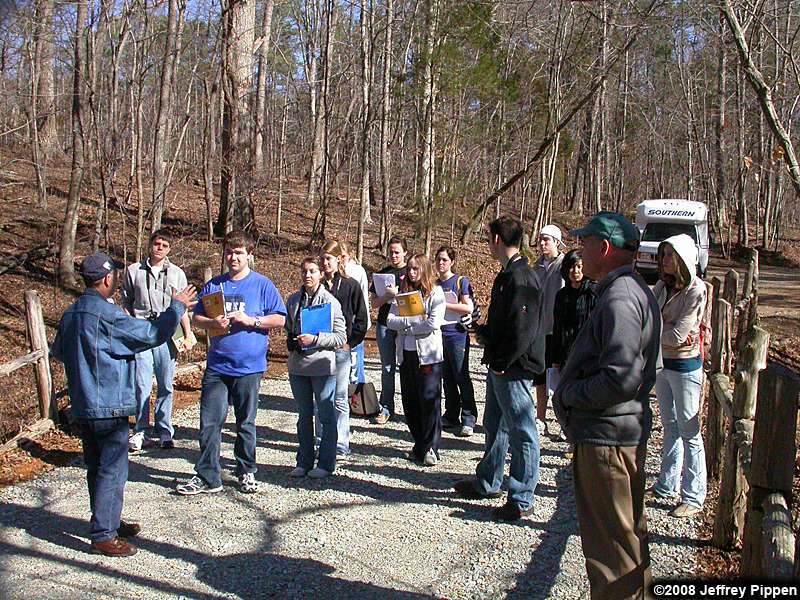 Field trips during class period visited forested areas around campus as well as research and management sites in the Duke Forest. Co-taught with Prof. Dan Richter. Duke Forest Director Judd Edeburn tells us about the Korstian Division of the Forest. Celebrating LDOC in the Duke Gardens. This course was first launched in the fall of 2010. 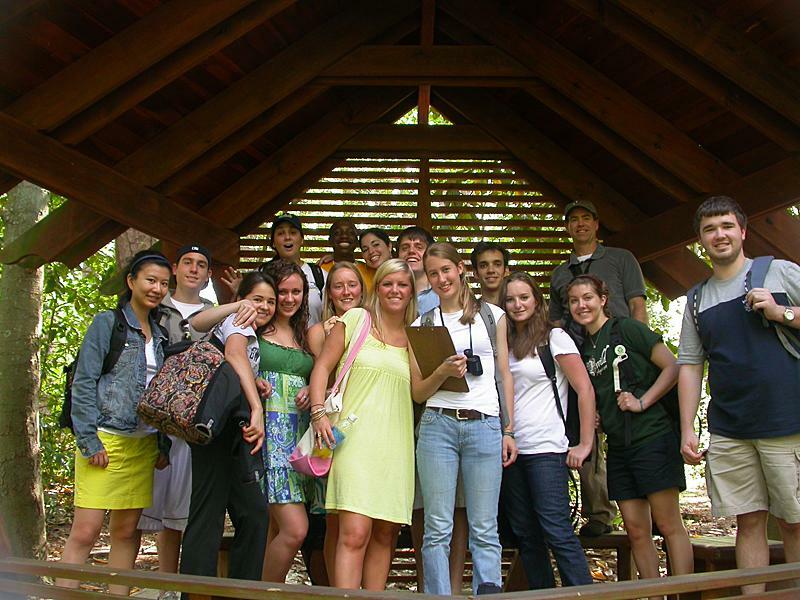 Forest Measurements started with plant identification aimed to teach students local Piedmont species but ALSO how to use dichotomous keys and systematics to identify plants anywhere in the world. 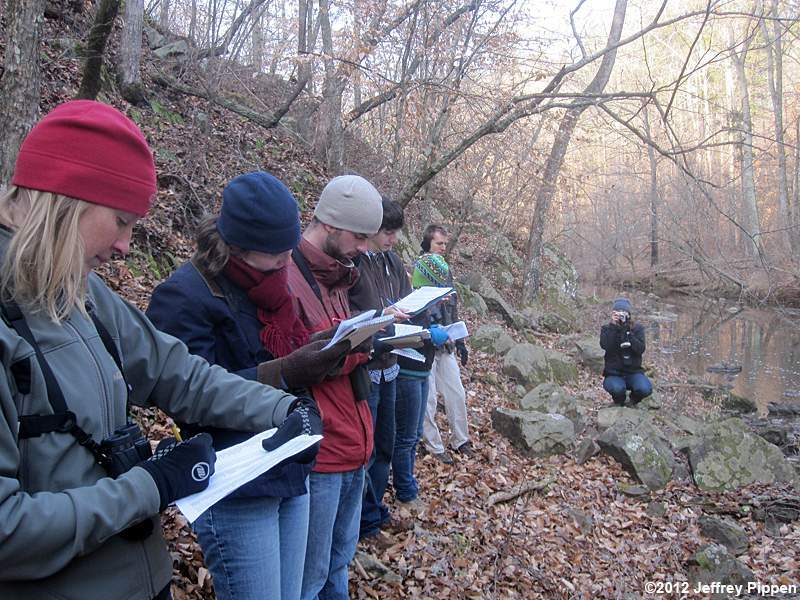 We then turned the course toward measurements of forests, including estimates of characteristics of individual plants, forest stands,and forest landscapes. Species composition, biomass, wood volume, carbon content, water balances of whole ecosytems was estimated. Linear dimensions and areas of the land itself were estimated using GPS units and more traditional methods. 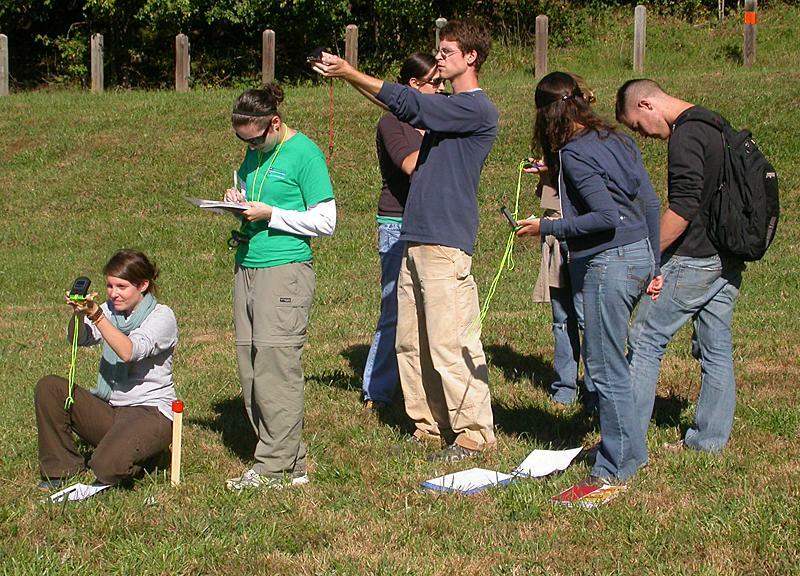 Field activities and quantitative skills were emphasized throughout. Co-taught with Prof. Dan Richter. Exploring the bottomland swamps around New Hope Creek. 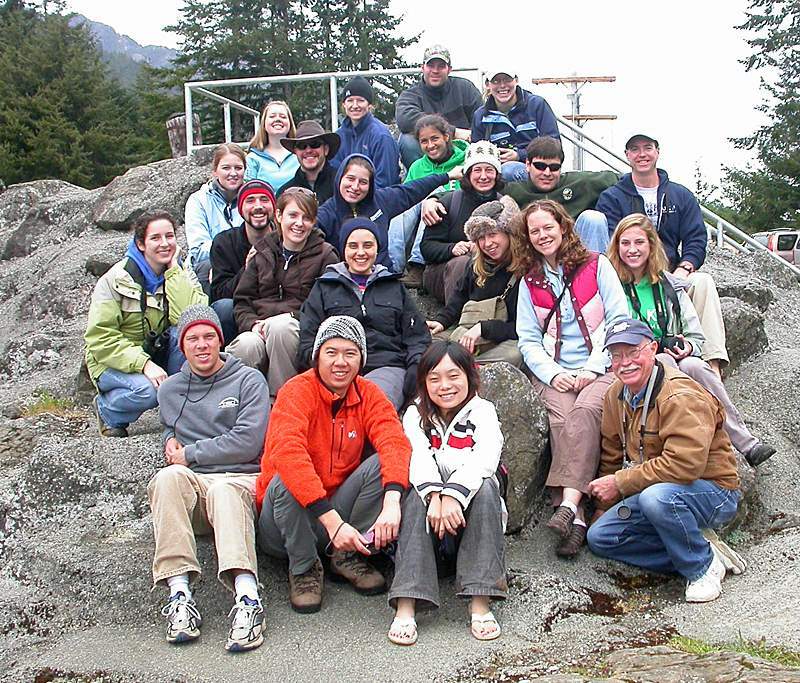 This week-long field course exposed Nicholas School graduate students to natural resource management in the Pacific Northwest including industries such as forestry, paper, fisheries, mining, game and non-game species, water rights, etc. Western Field Trippers at Glines Canyon Dam on the Elwha River. 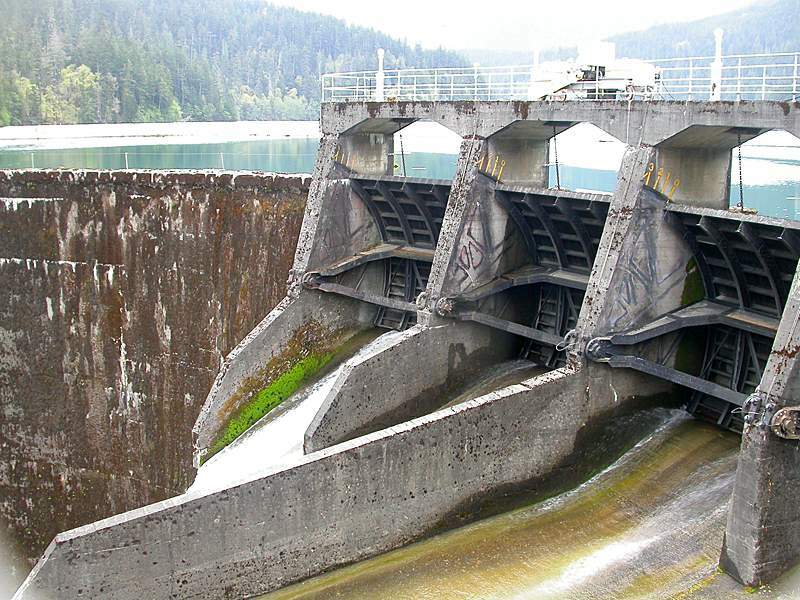 This dam is scheduled to be removed in 2011 to restore over 70 miles of river for salmon habitat. Glines Canyon Dam on the Elwha River. 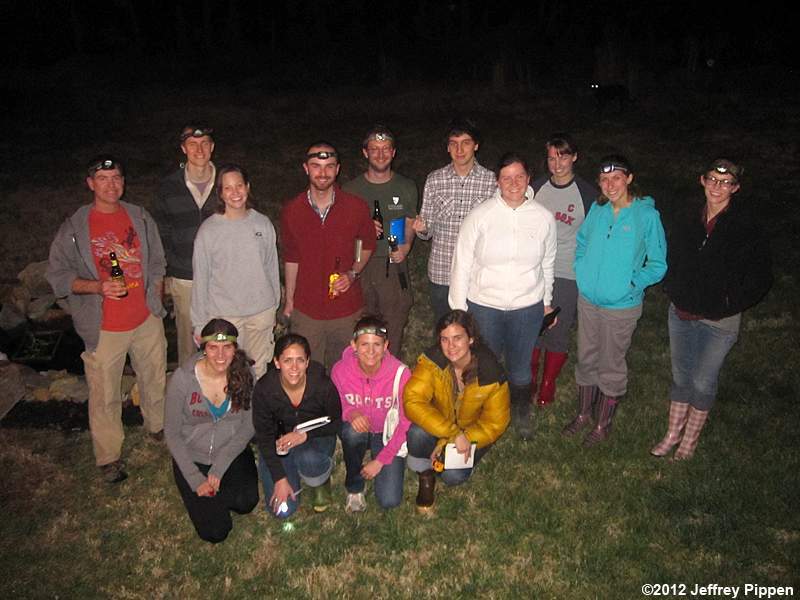 Designed for graduate students, this course introduced students to a wide variety of wildlife survey skills through both classroom lectures and hands-on field experience. 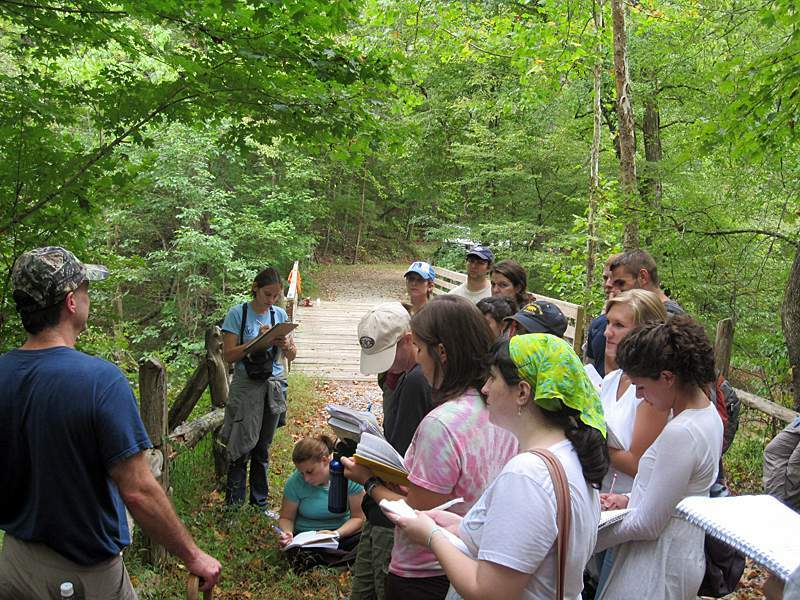 In this course, designed for juniors, seniors, and graduate students, we learned to identify over 100 woody-plant species of the North Carolina piedmont by recognizing bark, tree form, twigs, leaves, and other characteristics. We also learned measurement techniques useful in the study and management of forests including estimating basal area, tree height, and basic orienteering. Co-taught with Prof. Dan Richter. Demonstrating field skills during the final exam.